According to a report from the Sacramento Bee, former Kings exec Jeffrey David embezzled $13.4 million from two Kings sponsors and used the money to buy beach houses in Southern California. David allegedly took $9 million from Golden 1 Credit Union, title sponsor for the Kings arena, and another $4.3 million from Kaiser Permanente, which he used to buy a beach house in Hermosa Beach in 2016 as well as a condo in Manhattan Beach in 2017. No criminal charges have been filed against David yet, though the team confirmed to the Bee that FBI officials are investigating the case after they referred it to them last week. Additionally, the Department of Justice has already started the “formal process of recovering and seizing the properties involved in the investigation.” David first worked for the Kings from 2006 to 2010, returning to the team at David Stern’s behest in 2011 after a stint with the NBA. He served as the Kings’ chief revenue officer until he left this June, and he was hired into the same position by the Miami Heat a month later. 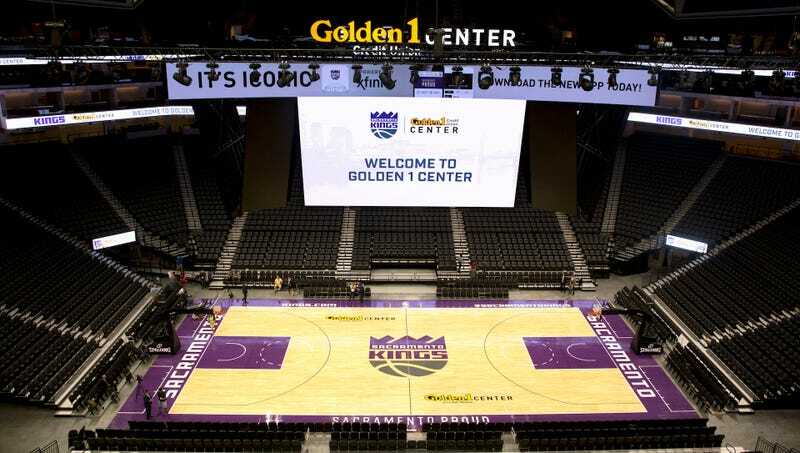 The Kings employee “did not recognize the entity and questioned why a business-related entity would have depreciation schedules related to two residences, furniture and a golf cart,” the documents say. The Bee reached out to the Heat, who placed David on leave, and released a statement pledging their full cooperation to the federal investigation. The Kings Screwed It Up!